Then start it up and test it! Now you can manage the server as we described at http://krypted.com/mac-os-x-server/export-dns-records-macos-server/. So I comment a lot of lines out in my /etc/hosts file. This usually means that I end up with a lot of cruft at the top of my file. And while I write comments into files and scripts here and there, I don’t always want to see them. So I can grep them out by piping the output of the file to grep as follows: cat /etc/hosts | grep -v "^#" You could also do the same, eliminating all lines that start with a “v” instead: cat !$ | grep -v "^v"
macOS has keychains. Sometimes they’re a thing. When they are you might want to delete them. Let’s say you have an admin account. You want to keep the keychains for that account, but remove all the others. For this, you could do a shell operator to extglob. Or you could do a quick while loop as follows: ls /Users | grep -v "admin" | while read USERNAME do; rm -Rf "/Users/$USERNAME/Library/Keychains/*" done; If you borrow this, be careful. You have exceeded the maximum number of shell sessions. So, I opened a new shell and ran: shell_session_update And go the same result. Same with: shell_session_save Fun. The Server 5 app that installs on Sierra is great. But sometimes a change doesn’t get committed properly or has a mismatch with a certificate, and the server doesn’t respond properly… I know, you’ve been told that host name changes and IP changes are all kinds of OK at this point; “look, Charles, there’s a button!” Well, go ahead, click it. Don’t mind me, you might just be alright. But then again, you might not if you’re running Open Directory, Profile Manager, or a few other services… When it works it’s a thing of beauty. But when it doesn’t, you might be restoring some stuff from backup. But just before you do that restore, let’s try one more thing. Let’s try and rebuild some certificates and configuration settings that shouldn’t impact actual service operation. Let’s try to reset the Server app and let a fresh install of the Server see if it can fix issues. Now, I want to be clear, this is usually the last resort before restoring a backup. I’ve had a lot of luck with services remaining functional and preserving settings when I do this, but don’t expect that to be the case every time. Basically, we’re going to do what we looked at doing back in ’09 with AppleSetupDone but one designed just for servers, so the file is in the same place (/var/db) and called .ServerSetupDone. To remove it, close Server app and run the following command: sudo rm /var/db/.ServerSetupDone Once removed, open the Server app again and then let the Server app run as though it’s new. Cruft, begone! Make sure to check things like server logs in the event that the service goes unresponsive again, and be wary of performing this step multiple times as there’s likely another underlying issue that you shouldn’t be resetting the server to resolve. 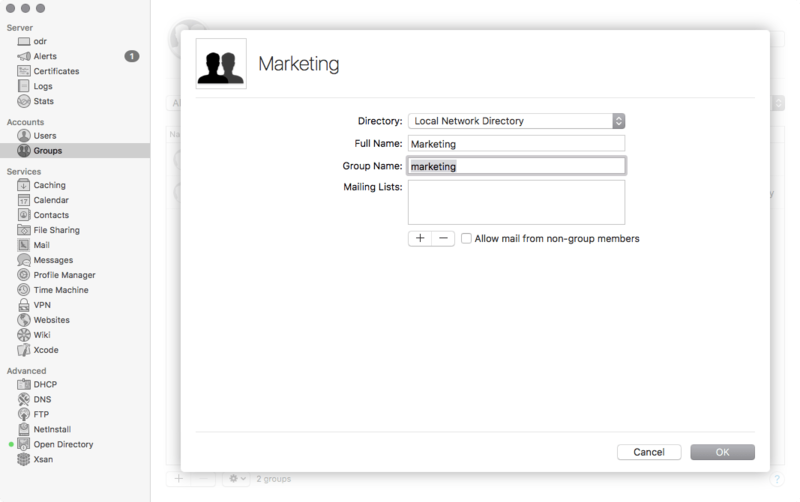 There are a couple of ways to create groups in macOS Server 5.2, running on Sierra. The first is using the Server app, the second is using the Users & Groups System Preference pane and the third is using the command line. 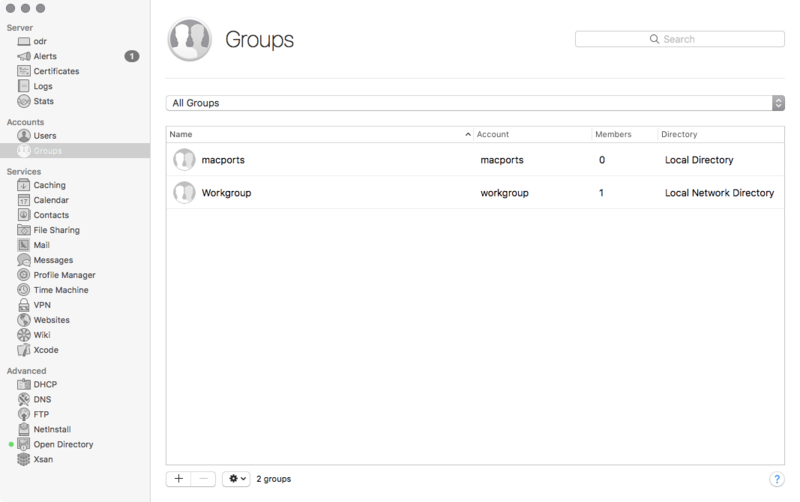 In this article we will look at creating groups in the directory service with the Server app. Once a server has been an Open Directory Master all user and group accounts created will be in the Local Network Group when created in Server app. Before that, all user and group objects are stored locally when created in Server app. Once promoted to an Open Directory server, groups are created in the Open Directory database or if you select it from the directory domain drop-down list, locally. 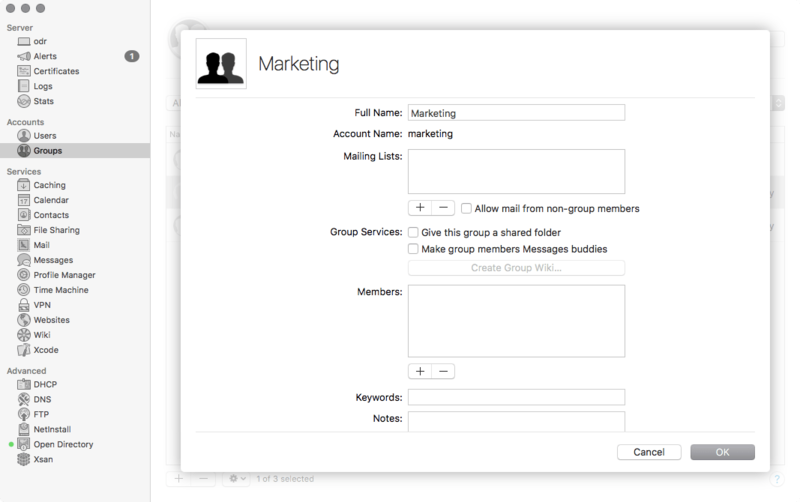 Groups can also be created in both locations, using a command line tool appropriate for group management. 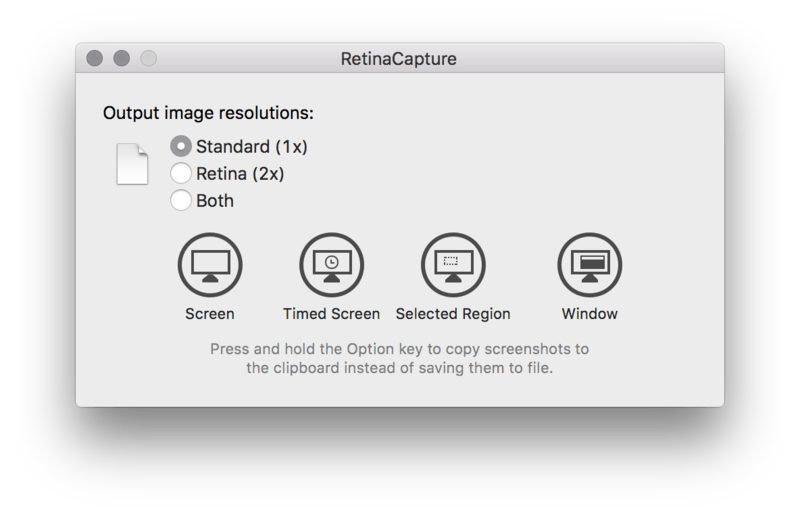 By default, screenshots are pretty big on a retina display on a Sierra machine. Like about 4 times the size they should be. I haven’t found a defaults key I can use yet to reduce them, so I’ve been using this little screenshotting app called RetinaCapture, available at https://gumroad.com/l/retinacapture. Basically, when you’re running it, you just open it up and click on the Window button. There, you can select a window to screenshot. Once you’ve selected the window, you’ll be prompted to save it somewhere with a name. I don’t love having to use any 3rd party apps for my screenshotting workflow. In fact, it bugs the crap out of me. Screens get resized by publishers for books and so I’m really only using this for my site. But, hopefully it helps someone else along the way. Happy screenshotting!